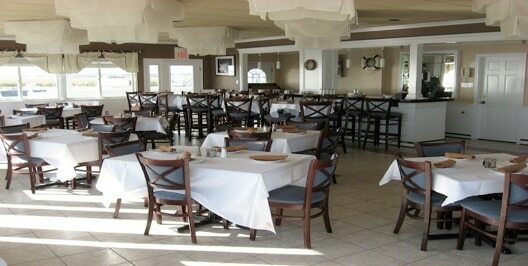 The Seaview Harbor Marina clubhouse is located on the 2nd floor above Caffe Luciano’s restaurant & bar. You can access the clubhouse from the outside steps between the restaurant and pool. The view is magnificent: the inlet, the ocean, the beach, the marina and more. Whether inside or on the deck, the sunsets are like a picture on a post card, with panoramic views that will take your breath away. A continental breakfast will be available from Memorial Day to Labor Day, on Saturdays, Sundays and Holidays from 7:00 am to 11:00 am. The complimentary continental breakfast is available to all owners and tenants who purchase and present their pool/marina wristband. 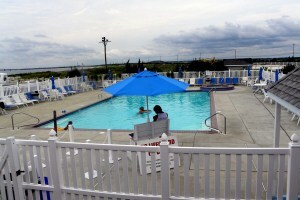 During the season, the marina will host other events in the clubhouse. You will be kept informed of these events via our website or Facebook page. Seaview Harbor has several hundred yards of shoreline for the exclusive use of our patrons. This private beach offers the leisurely tranquility of the bay and boasts wonderful views of the inlet and the open skies overlooking Ocean City. Tiki huts and beach chairs are available for your enjoyment. 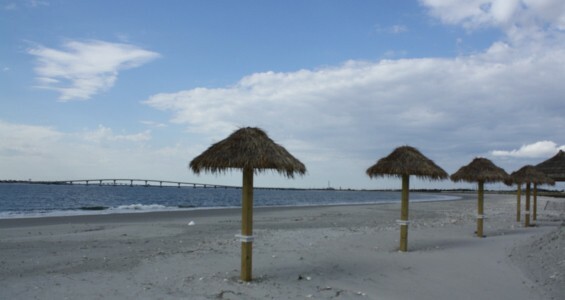 During the summer months, the beach is maintained clean and free from debris by our devoted staff. Beach parties may be occasional held. There is a small fee to schedule these events; games and music are provided at most beach events. Just a few steps from the private beach, you will find our 30’x50′ heated pool & Jacuzzi. The facility is fully outfitted with a lavatory and shower rinse station. What better way to unwind after long morning fishing or a night out? 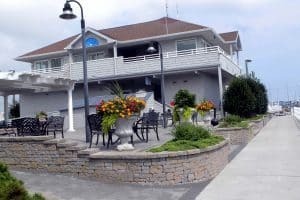 In season, our Summer Pool Hours are as follows: Monday-Thursday 10:00 a.m. To 6:00 p.m. Friday/Saturday/Sunday 10:00 a.m. To 7:00 p.m. All marina members are required to have a proper marina ID to use the pool area. Restaurant service is available poolside.